This discussion guide is designed for small group studies and discussions corresponding with the series Let Story Guide You with Don Miller. 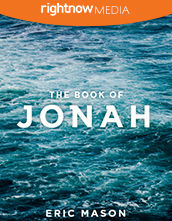 Let Story Guide You with Don Miller is a Meaningful Small Group Video Bible Study - Life is a Story. Make Yours Count. If your life was made into a movie, would you want to go see it? Morning after morning, we get up to the same routine, the same job, the same chores, only to go to bed and repeat it all the next day …the next week … the next month. What would it be like to live the epic adventures we see in movies? In these 2 video sessions, Donald Miller shares the important principles good storytellers use to make a story meaningful. He shows the power of storytelling being used in the Bible to teach significance and purpose. In his trademark humorous and personal style, Donald challenges viewers to become the heroes of their own story and make their lives count.